Click the button below to add the DEEP CLEANING CONCENTRATE to your wish list. Cleans and conditions stone without leaving a soapy or detergent residue. It cleans gently without dangerous caustics or acids. Completely biodegradable. Contains no phosphates. Eliminates the need for harsh alkaline strippers or other soap based cleaners. 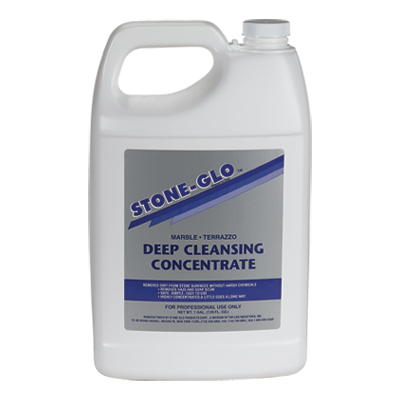 Dissolves soap scum on contact and neutralizes snow-melt and salt residues.